Kabungo, a new book from the Regina-based writer and cartoonist known as Rolli, is a modern-day version of Pippi Longstocking. Beverly is ten years old. Her best friend is Kabungo, also ten years old. But Kabungo is a cavegirl. She is far less civilized than Beverly, who is an ordinary girl who lives in an ordinary house with her ordinary family. Kabungo is extraordinary: she lives in a cave on main street, speaks in a primitive version of English (she even calls Beverly “Belly” because she can’t pronounce Beverly), eats bugs and smells people’s hair. 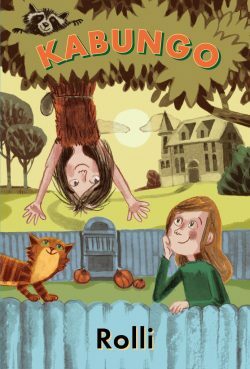 One of the delightful aspects of the book is that the existence of the cavegirl is never actually explained: she, and her cave home simply exist among the people of Beverly’s community. Kabungo is a great book for readers 10 and under. Each chapter in Kabungo gives readers a fun and entertaining adventure involving Beverly and her curious friend. Most of these adventures consist of Beverly attempting to teach Kabungo the ways of the modern world — things like the alphabet and reading, about the importance of brushing one’s teeth, or even about strange holidays like Halloween. But civilizing her friend is never as easy as it seems, especially so because Kabungo herself is pretty stubborn. And the delightful thing about Kabungo is that through her varied attempts to teach her friend, Beverly also learns a thing or two, reminding us that the pleasures of teaching others is never about making them the same as us. I bought Boy Robot for my 14-year-old son mostly on a whim. It sounded interesting and involved robots and action, something that I thought would appeal to a young computer hacker and gamer. The story follows Issak, whose life changes in a single night as his adoptive parents are killed and a mysterious girl saves him from a team of soldiers. From there he discovers his secret origins as a government-made synthetic human and must struggle to survive: he has been marked for termination and is now being hunted. The jacket described the book as a story that explores what it means to be human. My son did read the book, and subsequently used the book for a school report. And I have to confess that when I read his book review I realized that I should have read the book more closely, as part of his review discussed various trigger warning for potential readers. As it turns out the author does not hold back on a number of difficult issues, including graphic descriptions of homophobic and transphobic trauma and even sexual assault. The upside of my blunder and subsequent reading of the novel (which I’ll confess is good but also uneven as a novel) is that it led to some really good conversations with my son. 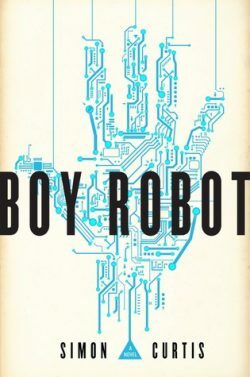 And while reading Boy Robot I was pleasantly surprised to learn other things about the book and its author: Simon Curtis was diagnosed with leukemia at age 10 and began performing musical theatre that same year. He has voiced a number of characters for Nickelodeon and Disney, left acting to pursue music and released his first album. Then he reinvented himself as an author and published Boy Robot, his first novel. All by the time he was in his early 30s. The book is also endorsed by the It Gets Better project, an organization that inspires hope and creates change for LGBTQ youth around the world, and Curtis also dedicated the book to to each of the 49 people who lost their lives in the Pulse nightclub massacre in June 2016. So I would call Boy Robot is not only engaging novel, it also a novel that, like its author, is engaged. If you are someone who likes eating outdoors (as I’m sure you are) you probably like to discover resources that will help you to expand your campfire cookery skills. Here’s a nice opportunity to stretch your abilities with a single piece of cooking equipment: the dutch oven. 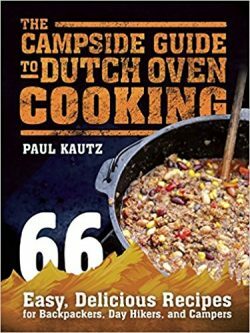 With an introduction to the dutch oven itself, as well as tips regarding working with different heat sources, some information on accessories, and cooking and cleaning advice, The Campside Guide to Dutch Oven Cooking will give you an excellent background on this classic piece of equipment. 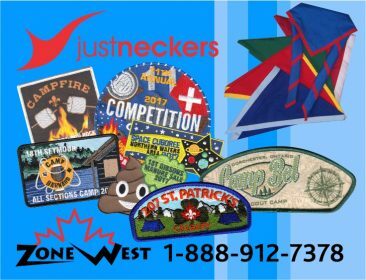 And there is an excellent selection of recipes to read through, including breakfasts, side dishes, soups, dinners and desserts that will surely give any reader fresh menu ideas when planning their next camping trip. Some are standards that one would associate with a dutch oven, like “Fancy Franks & Beans” or a “Wake ‘Em Up Breakfast” (more or less a western omelet) but most of the recipes are interesting takes on camping cookery that may get you thinking outside the box. With recipes like “Huevos Rancheros,” “Hot Pepper Drumsticks,” “Taco Soup,” “Egg Fu Yung,” “Hawaiian Chicken,” “Pita Pocket Pizza,” and even “Pineapple Upsidedown Cake,” all of which can be prepared using the same piece of equipment, your next trip into the wild might be practically gourmet. An additional bonus is that the author maintains a website (dutchovendude.com) where you can not only purchase his book, but you can also take advantage of many resources and additional recipes that he offers free of charge.